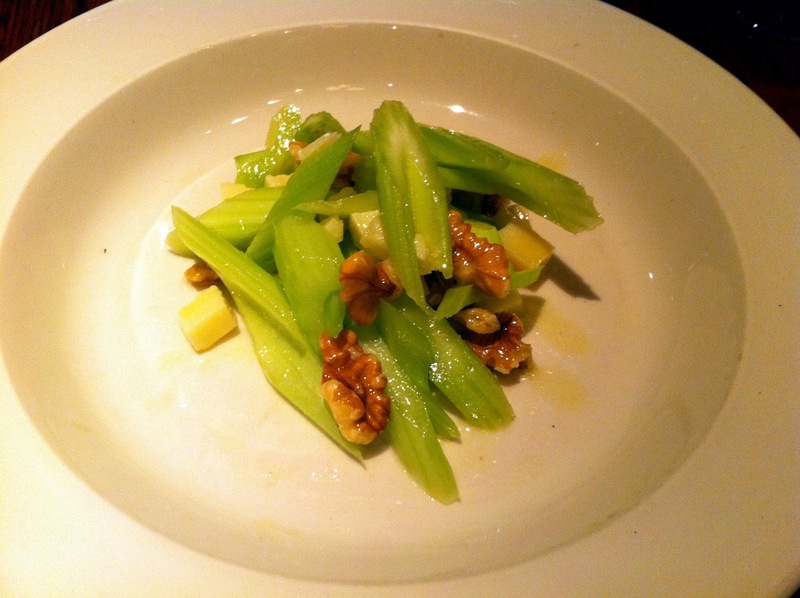 Maybe a celery salad is hard to make flavorful, but all I could taste was the very good parmesan cheese. Our two small pasta dishes were tagliatelle with mushrooms and linguine with crab meat. 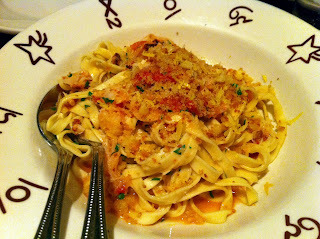 The tagliatelle was pretty bland throughout, where the linguine crab was very fishy tasting. The entrees were the best course of the evening. 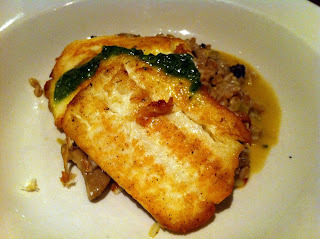 Erica liked the Halibut, though my little bite was uninspiring, and my pasta (orecchiette with spicy lamb) was good though slightly over cooked. I really enjoyed the spicy sauce and flavors of the lamb. 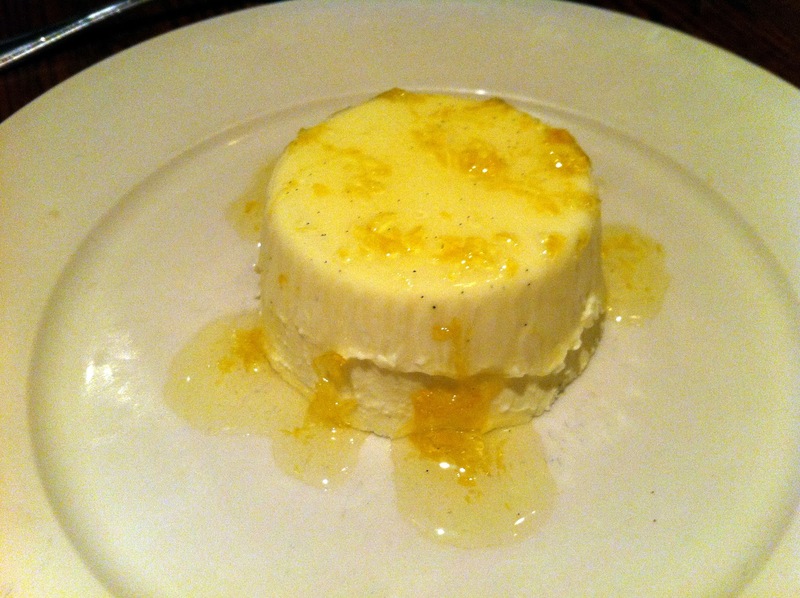 We ended the meal with a refreshing lemon panna cotta. 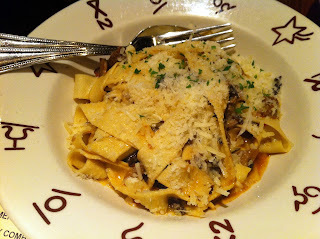 Maybe my expectations were unreasonable, but the food was still below regular standards - especially for feel good Italian. 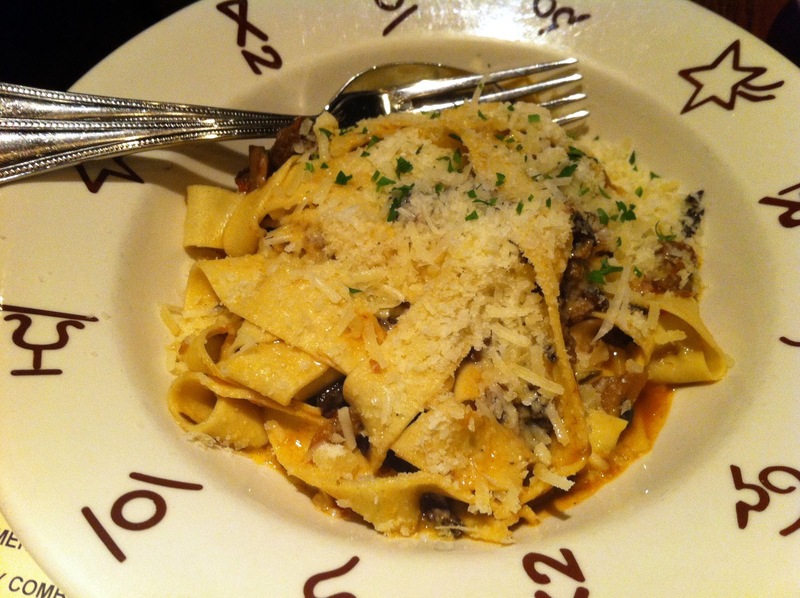 We had good service with a friendly and knowledgeable server. 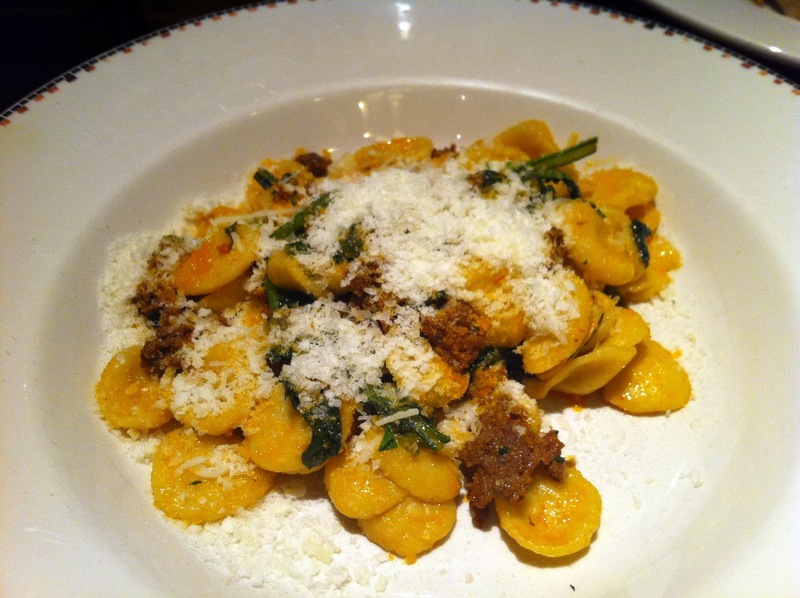 The atmosphere was a bit loud but it's nice to be in a lively and packed restaurant on a Wednesday evening. While this meal wasn't fabulous, I do look forward to checking out their next project Acre next door. Blogger meet-up at Maude's? Yes, please! Should we get an email out for Feb? Well then, I won't be going here! Blogger meet-up at Maude's sounds great but I am out of commission definitely until Feb 12th. Week of 14th will be tough too. Grrrr. Want to go to Maude's!